A mother-of-pearl finds shelter under a massive leaf. A male common dotted border allows me to get close enough for a great photo. A male Cambridge vagrant just about to land. 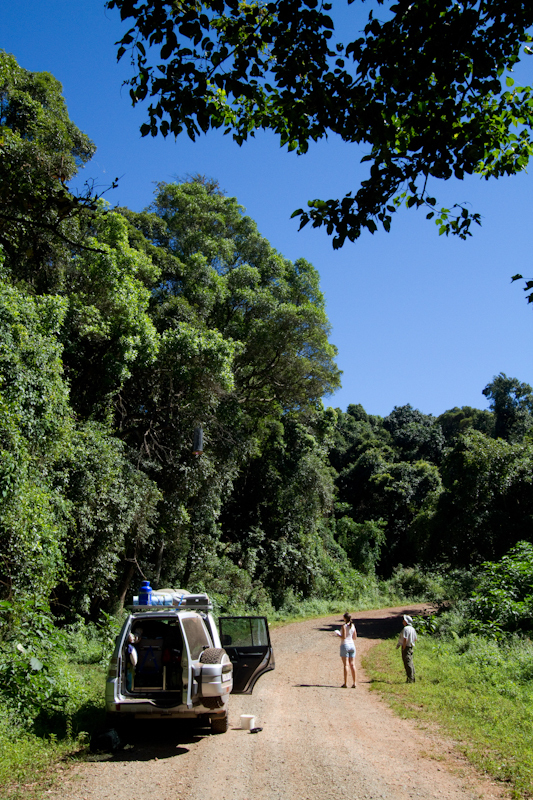 Butterfly destinations throughout South Africa: More or less every second person we meet on our travels is, to some degree, a bird-watcher. Some travel with the sole purpose of spotting a particular species, others delight in finding as many species as possible wherever they go, and the rest just keep a bird book handy in case a particularly interesting or beautiful bird makes an appearance. But when was the last time you met anyone who does the same with butterflies? 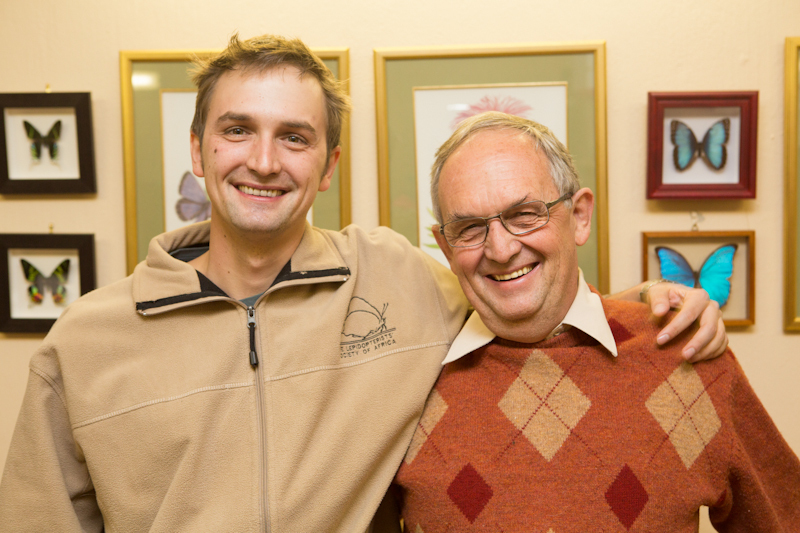 André and Bennie Coetzer – two of South Africa’s top lepidopterists. 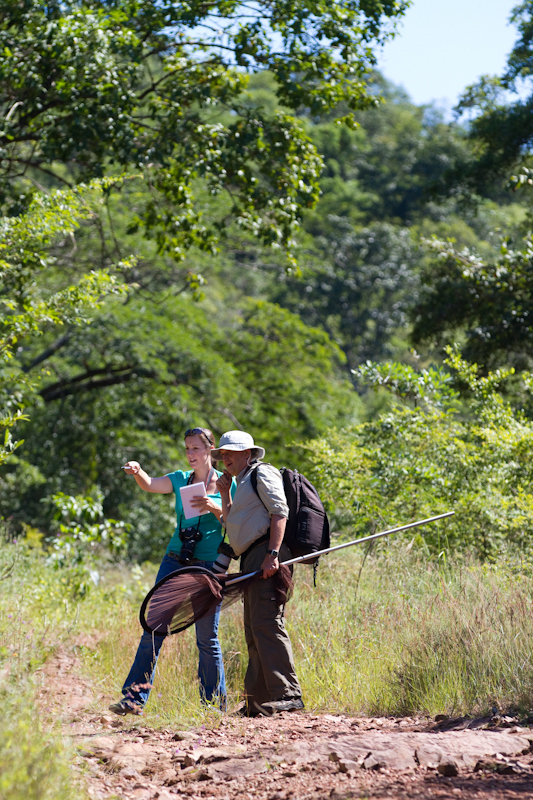 Looking for butterflies in Entabeni State Forest, Soutpansberg. 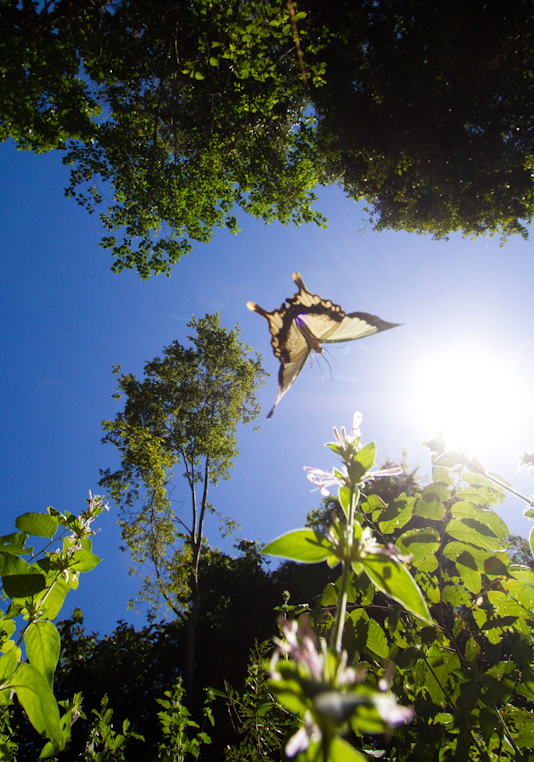 A unique wide-angle of a male flying handkerchief. 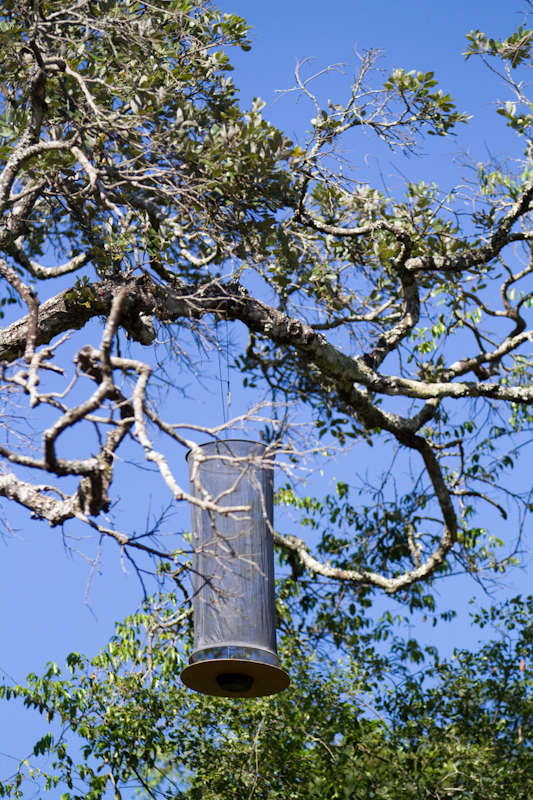 One of the humane traps used to capture butterflies for identification purposes. Bennie helps Tabby to identify a butterfly. A male foxy Charaxes (or emperor) enjoying a bit of sunshine. make it worthwhile, the thought just hadn’t crossed our minds. 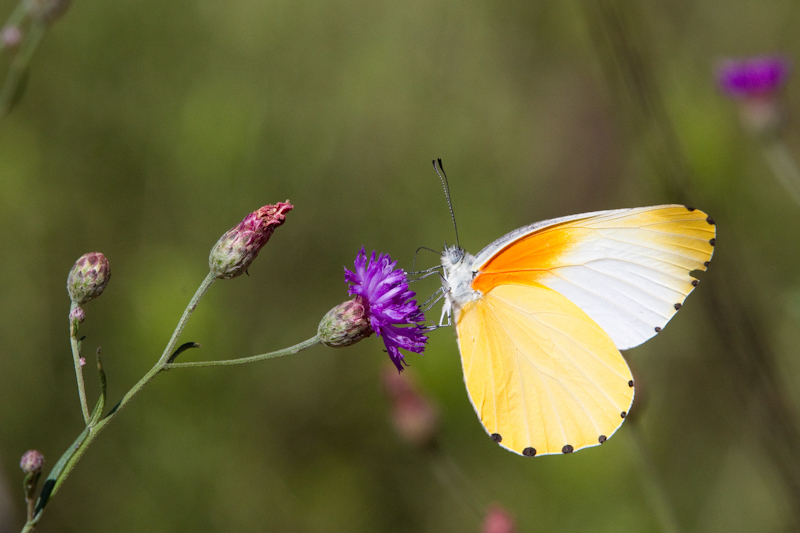 After all, chasing butterflies has always been the work of funny little bespectacled men in white lab coats and pith helmets – or so we’d thought. As it turns out, the world of butterflies is as diverse, as colourful, and almost as large as the world of birding. If it’s numbers you’re into, there are over 670 recorded butterfly species in South-Africa, not far off the 850-odd recorded bird species. They’re everywhere, and we discovered that if you explore the right places at the right time of year you can see over one hundred species in a weekend. The challenge is identification. Identifying birds is, for the most part, relatively simple. Colour, shape, song, flight style – you get quite a lot to work with. Butterflies, however, are a little more difficult if you don’t know what to look for. We’re not about to start packing nets and traps, optional (but fun) extras used by pros like Bennie and Andre who have been avid members of South Africa’s Lepidopterist’s society (LepSoc) for the past twenty years or so, but the good news is, just like becoming a birder, all you really need is a decent camera and guide book. Photographing butterflies well is no small feat, but once do you can upload your photos to the Southern African Butterfly Conservation Assessment’s virtual museum by visiting butterflies.adu.org.za. Not only will they help you identify any species you’ve captured, but you’ll be helping to keep track of our country’s butterfly population. And if you get hooked, like we did, you can even join the experts on one of LepSoc’s butterfly expeditions all around the country – and you won’t even need a pith helmet. Keeping an eye out for birds has always been second nature to us, but now that we have more insight into the world of butterflies our travels have become that little bit more colourful. As we leave winter behind and head into the sunny season, we’re looking forward to adding a few more species to our list, and hoping that soon every second person we meet is not only a birder, but also a budding lepidopterist. 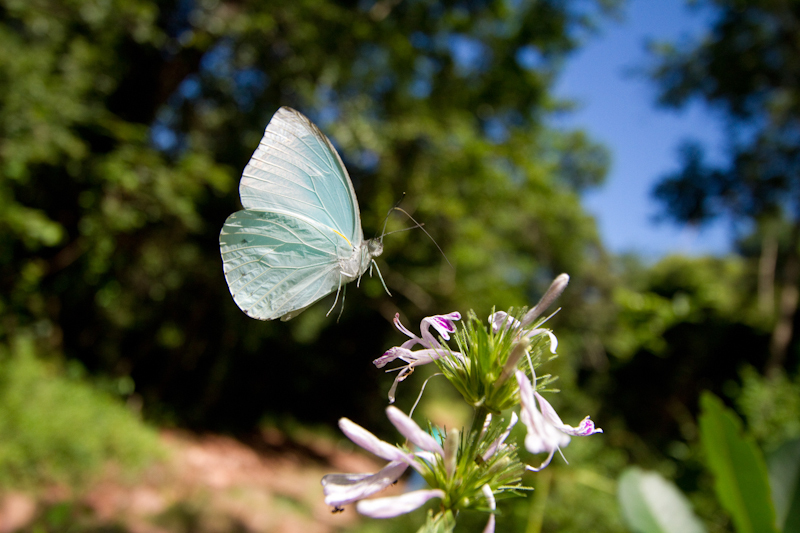 Photographing butterflies is not easy, primarily because of their size. Because they’re often small, you have to get quite close to get a good photograph (especially if you’re using a macro lens), but more often than not, they flutter away just before you get into position. For this reason, I prefer using a zoom lens to take butterfly photographs. The further away I can stand, the less chance there is of scaring them away. My Canon 100-400 mm zoom lens works perfectly well. • Butterflies are most active during the warm midday hours, so photograph them early morning or late afternoon when they are less active and more likely to sit still. 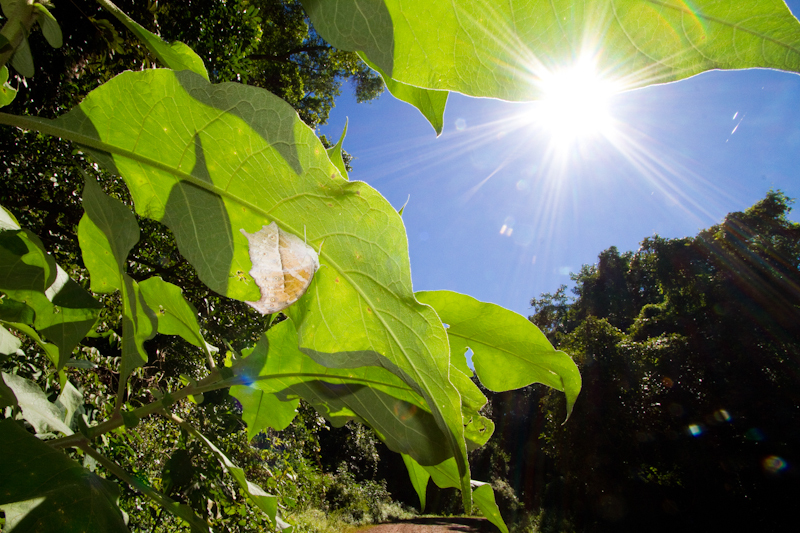 • Search for butterflies in indigenous vegetation and stick to areas where there’s a lot of flowers, especially Vernonia and Ribbon Bush. Find a nice flower patch and wait for them to come to you. • Butterflies often congregate on wet sandy patches beside streams at the hottest times of day (mudpuddling) and male butterflies usually congregate on hills at the hottest times of day (hilltopping). • Don’t use f-values that are too small – ideally you want to capture detail on the insect’s body and wingtips. 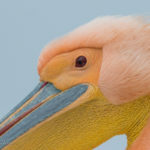 With my Canon 100-400 mm lens zoomed to the max, I usually use f8. Become a member: Become a member of LepSoc for only R250/year by visiting and registering on www.lepsoc.org.za – rubbing shoulders with the experts is the best way to get into the game. They know all the species and all the best spots to go butterflying. Joining a group of lepidopterists on a fieldtrip will get you hooked for sure! Buy a book: We recommend Steve Woodhall’s Field Guide to Butterflies of South Africa, Struik, May 2005 – R261 on kalahari.com. 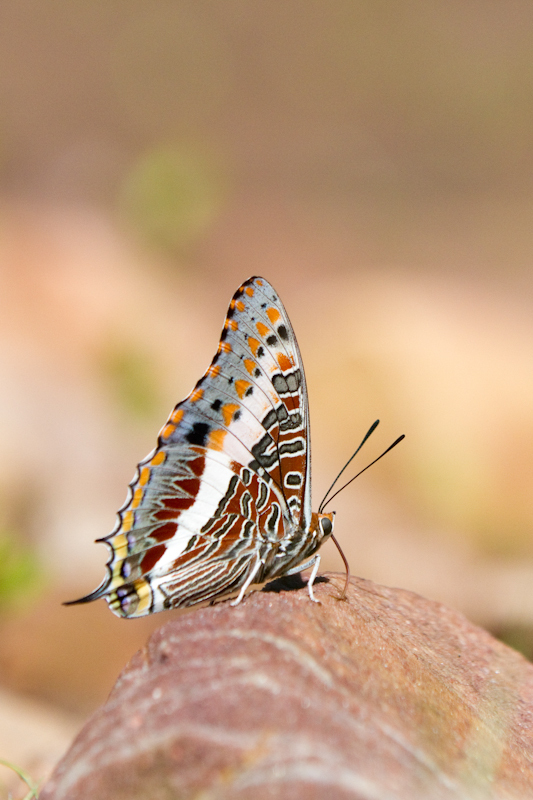 Search here: Zululand in KwaZulu-Natal and the Soutpansberg in Limpopo Province are two of the best places to search for butterflies, especially between October and May. For a more detailed list of butterflying spots, check out the October issue of Getaway Magazine.